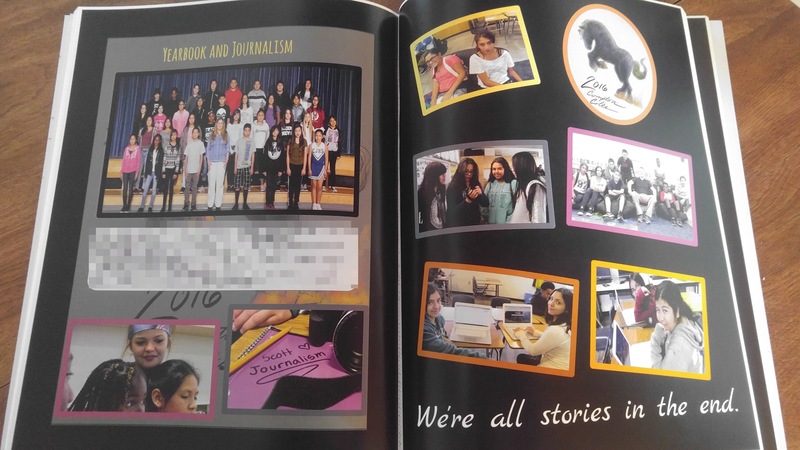 Yearbooks are more than photographs. They remind us that we have survived. These memory books stay with our families for generations. The problem is that many families cannot afford to purchase one. This project confronts that challenge. What started as a simple project that allowed students to collaboratively create an inexpensive yearbook has turned into a bilingual Google Innovator Project. Since December 2016, I have created easy-to-use directions and templates. The next step is to gather student-created templates and add them to this website. My dream is to create what does not yet exist. Whether it is a graphic design add-on in Slides or a change in Google Photos share permissions that protect student privacy. Why make this project bilingual? Because many of my students are bilingual. Furthermore, this project will help even more people. The soft-bound yearbooks are printed at our district office and sold for $10 pre-sale and then $15. We expect the prices to rise next year because we are adding articles to the yearbook, which will increase its size. As of the last day of school, a total of 235 yearbooks were sold in 2018. Our school has 630 students. The written resources are this website take you from photography to graphic design in Google Slides to yearbooks to publishing. Multiple pages include lessons that you can use to refine your skills or use with your students. 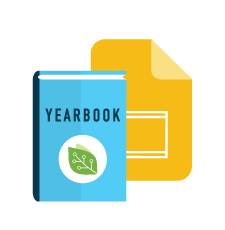 However, should you want more in-depth instruction with video tutorials and a learning community, I highly recommend that you take the EdTechTeamOnline Google Slides Yearbook Course taught by yours truly.